The advancement of technology has made stock trading much, much easier. It’s hard to imagine now, but 40 years ago trading could be a real pain. At a minimum, you’d have to call up a broker to put in an order. Often, trades would take a day or more to execute. Now, you don’t even have to log in to your computer or smartphone to trade. Simply speak the commands, and you can execute a voice-activated trade. While voice-activated trading is just starting to hit the market, it’ll likely become a more popular feature in the years ahead. Voice-activated controls are already becoming relatively popular for online shopping. 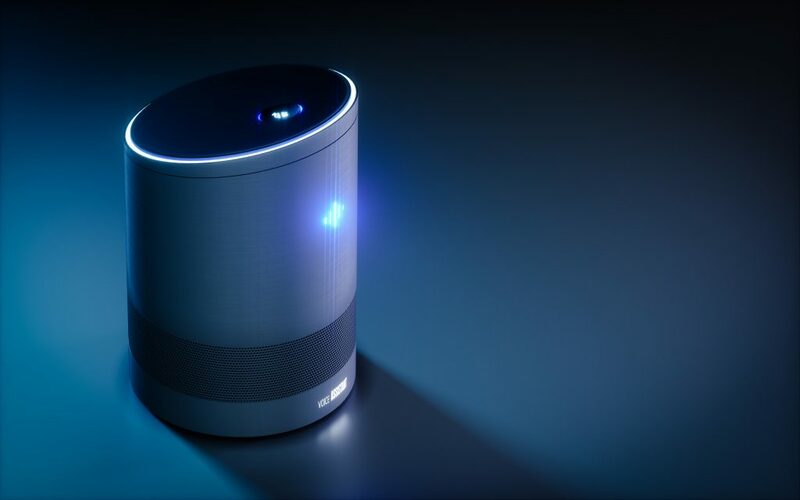 While it’s unlikely that voice-activated trading will ever replace websites and apps, it could become a powerful additional feature. Fact is, markets are immensely competitive. Traders need to be able to execute trades quickly. Even a few seconds delay could cost huge sums of money. And trading platforms need to serve their customers well. Elsewise, they can find more feature-rich trading platforms that offer better value. Voice activated trading enables quicker trades and gives traders yet another excellent trading option. For trading platforms, voice activated trading can offer a competitive advantage. 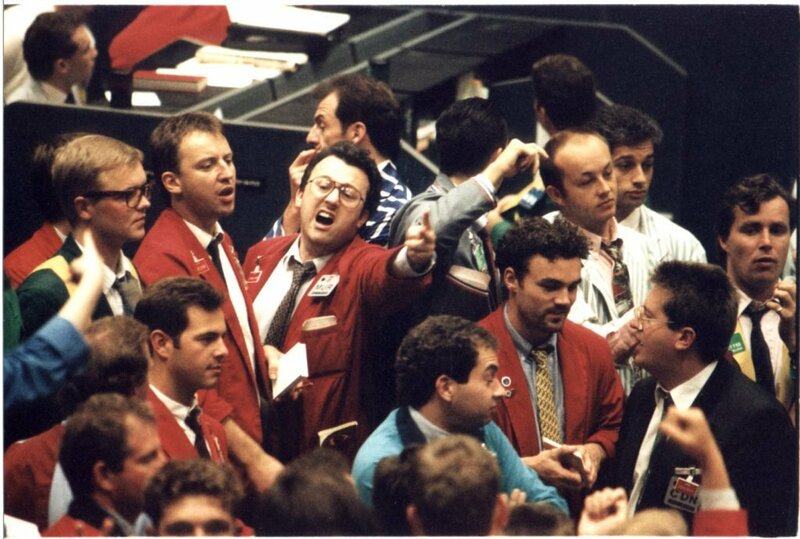 In a certain sense, voice trading hearkens back to the roots of stock trading, when, most trades were conducted on a trading floor with people shouting out trades and deals. Now, traders can “shout out” trades from the comfort of their own home. So let’s look at the pros and cons of voice-activated trading. Voice-activated trading makes it easy to quickly execute trades and allows you to focus your attention elsewhere. Let’s say you’re watching the news on TV and a company makes a big announcement. Maybe the announcement is great news and you want to pick up shares. Or perhaps it’s bad news and you want to sell your holdings quickly. Let’s assume that you don’t have your computer or smartphone in front of you. You could take the time to grab your device, log in to your trading account, find the stocks, and make the trade, or you could simply speak the command: “Sell 10 Shares of General Motors stock” or “Buy 15 shares of Apple Inc.” And then it’s done. No passwords, no messy user interfaces to wrestle with, just give the command. Voice-activated trading enables faster trading. For day traders, speed will be appreciated. However, even if you’re not a regular day trader, having another input option could come in handy. If you want to react quickly, it’s hard to beat voice commands. Think about typing speed. A lot of people would struggle to type 50 words per minute. Yet most people can easily say 150 words in a minute. Then add in all the time it takes to navigate through user interfaces. Even executing a simple trade on your favorite platform could take a minute or more. With voice-activated trading, minutes become seconds. You’ll be able to conduct a trade in just a few moments. This means traders can react quickly to news, potentially even beating markets and other traders. Is Voice Activated Trading Accurate? Many people worry that voice-activated trading (or shopping, for that matter) would result in a lot of misplaced orders. It’s taken some years to develop accurate and efficient voice activated trading software. However, years of research and experimenting have resulted in highly accurate voice recognition software. In fact, voice recognition software is so accurate that many traders may prefer it to traditional methods. A user might click on the wrong button or key in the wrong word. However, high-quality voice-activated software almost certainly won’t misunderstand a command. Another major software concern with voice-activated trading software is security. Could an unscrupulous party make a trade on your account? Or perhaps more worryingly, could a child or someone else make an accidental trade? Modern voice trading software can actually recognize a person’s voice. That way, you can ensure that only the authorized trader executes a trade. If a child mimics what their parent says, and suddenly shouts out “sell Ford stocks!”, the software would disregard the command. On the other hand, if a user leaves their trading platform open on their computer or another device, there’s a serious risk that a child or other unauthorized party could end up accidentally executing a trade. Likewise, someone could steal your password through brute force hacking, malware, or other means. It’s much harder to steal, or in this case mimic, one’s voice. Given all of the above, voice-activated trading may actually be more secure than other trading methods. Not everyone is going to want to use voice-activated trading. In fact, many traders prefer either their smartphone or laptop. However, the more options you offer, the better. Even traders who prefer traditional electronic devices and inputs appreciate a variety of options. Right now, only a few companies offer voice-activated trading. However, these companies are positioning themselves as industry leaders. By being innovative, these companies offer proof that they are constantly looking for ways to better serve their customers. As markets continue to evolve and technology continues to progress, stock trading companies will need to keep with the times. By offering advanced features, such as voice-activated trading, brokerage firms will be able to improve their brand reputation and attract new customers. Send us a message to learn more how ETNA helps forward-thinking online brokerages to add features like voice-activated trading to their trading terminals, quick and easy.